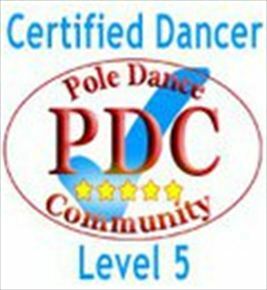 Megan is a level 5 certified pole dancer and level 1 polepeople pole fitness instructor. She has competed in many competitions and is excellent at building routines. She came 2nd at the University of Essex Derby Day pole competition in the advanced category and 5th in the inter-university competition advance category. Megan has pole insurance and first aid trained.